The press is overhyping the latest study on CTE in the NFL. Don’t believe the pumped-up headlines. 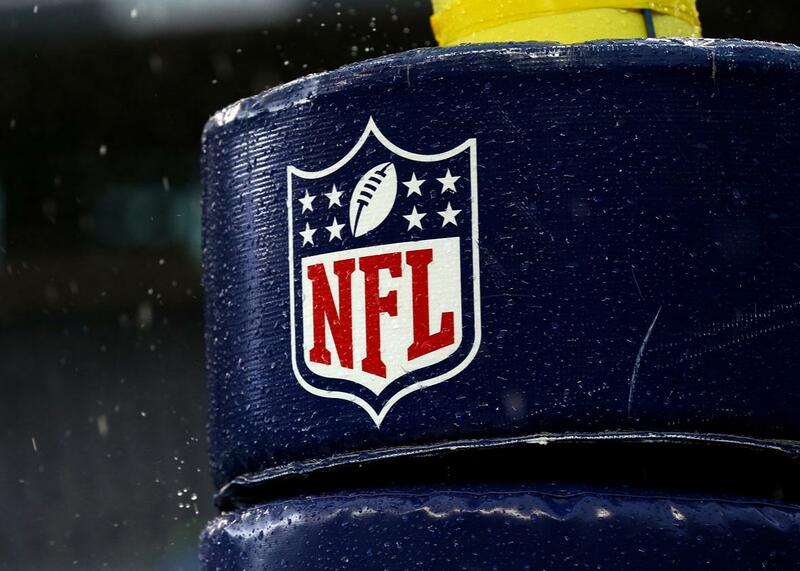 The latest study on CTE in the NFL doesn’t tell us anything we didn’t already know. We know CTE is a problem in the NFL, but we still don’t know how big of one. The latest CTE results, however, aren’t nearly as dramatic as the headlines would lead you to believe. The new paper from McKee et al. offers up some valuable information, but it doesn’t show that nearly every NFL player has a damaged brain. In truth, we’re no better informed today than we were last week when it comes to the most important and elusive questions about the athletes’ brain disease: How many football players suffer from CTE pathology, and to what extent do changes to their neural tissue lead to symptoms while they’re still alive? The brains assessed in the Boston University study were not randomly selected. Rather, they were donated by family members of the deceased or referred by medical examiners, who had reason to suspect that researchers might find evidence of damage. In other words, the findings from these brains describe at best an upper bound for the prevalence of CTE. It’s the rate we’d expect to find if every player in the NFL were just as plagued by mental problems as the men whose brains were sent to McKee. What might be the corresponding lower bound? As the New York Times points out, the BU sample represents about one-tenth of the former NFL players who’ve died since the study began. If we assume that every other player in that group had a healthy brain, the total prevalence for CTE would be in the vicinity of 9 percent. From this we can conclude that the true rate of the disease is somewhere between 9 and 99 percent. McKee’s findings have been remarkably consistent since she began her work, even as her specimen bank grew from just a handful of former players’ brains to the large collection she has today. Meanwhile, the press coverage has been equally unchanging. In 2011, USA Today reported that McKee had found CTE in the brains of 13 of 14 former NFL players, or 93 percent; CNN followed two months later, citing 14 out of 15, which also rounds to 93 percent. A year after, a Grantland profile of “The Woman Who Would Save Football” reported that McKee had looked at tissue from 19 former players and diagnosed 18 with CTE, a rate of 95 percent. In September 2014, McKee earned a huge amount of coverage for having uncovered signs of CTE in the brains of 76 out of 79 former players, or 96 percent. In September 2015, another round of stories reported on McKee’s “new study” finding CTE in 87 of 91 former players, or 95.6 percent. And now we have the latest news, that there is evidence of CTE in 110 out of 111 former players, or 99 percent. Let’s imagine that the true prevalence of CTE in the NFL lies in the middle of the 9-to-99-percent range that McKee has described. We’ll assume that just more than half of all the league’s retirees—54 percent—harbor some degree of football-related damage to their brains. What would that mean in practice? The BU team provides a long list of potential consequences of having CTE: dementia; drug and alcohol abuse; cognitive symptoms, such as memory loss and attention deficit; motor-control issues; and various behavioral disorders such as depression, anxiety, violence, and suicidality. Using online surveys and telephone interviews with people who were close to the deceased, the BU team found these symptoms were more or less ubiquitous. According to their paper, cognitive symptoms turned up in 93 percent of the football players they identified as having CTE while behavioral symptoms were present in 91 percent and dementia in 72 percent. Given these numbers, along with the assumption above that a little more than half of all NFL retirees have CTE, we might expect to find cognitive and behavioral symptoms in about half the total player population and signs of dementia in roughly 40 percent. That is to say, we’d be looking at a crisis of obvious and staggering proportions. But despite ample and alarmist reporting on this topic, a crisis of that magnitude does not appear to be in progress. According to a survey of roughly 1,000 former players, conducted at the University of Michigan in 2008, NFL retirees are not as a group overwhelmed by sadness, violent outbursts, or suicidal thoughts. The Michigan researchers found that about 17 percent of the younger retirees had been diagnosed as having depression and that their reports of depressive symptoms are just “slightly higher” than those of men in the general population. (This depression gap narrows as the former players age.) Meanwhile, the retirees are “much less likely” to report having episodes of explosive anger than other men, and we know from a different study that their risk of suicide is less than half of what one would expect to see in age-matched controls. The Michigan researchers did find major cause for worry: Former players showed inflated rates of dementia, Alzheimer’s, and other memory-related diseases. The prevalence of these conditions among the younger men is 12 times higher than it is in the general population; among the older men, the rate is three times higher. Those are crisis numbers, clearly, but they aren’t close to what we’d expect to see—a 40 percent incidence of dementia—based on our extrapolation of the results from McKee’s study. In the Michigan survey, the overall prevalence of memory-related conditions among NFL retirees, while way higher than in the general population, is still pretty low in absolute terms: just 1.9 percent for the younger retirees and 6.1 percent for the older ones. If it’s really true that more than half of NFL retirees have CTE, and if it’s really true that more than 90 percent of men with that condition have symptoms while they’re still alive, then the numbers don’t add up. This suggests either that CTE is not as widespread as we thought or that the symptoms of CTE are not as severe as we’ve imagined, or both. At the very least, if we take the study’s headline-making finding at face value—that 99 percent of football players’ brains are likely to bear the signs of CTE—then we must acknowledge that, in the vast majority of cases, the presence of those neurofibrillary tangles will have no effect on those players’ well-being. That would be consistent with the findings from a different study to which McKee contributed, published in 2015 (and ignored by journalists), in which she checked for CTE in a large sample of brains from people who’d suffered from neurodegenerative disorders. Researchers found evidence of CTE only in the brains of those with a history of playing contact sports, with a prevalence of 32 percent. More to the point, the presence (or absence) of CTE in this sample seemed to have no bearing on the patients’ symptoms while they were alive. Either way, they had equivalent rates of substance abuse, the same age of onset for their symptoms, the same duration of their symptoms, and the same age of death. In the absence of more and better data, we have no good way of working through all the uncertainty around CTE. We know for sure there is a problem, but we haven’t yet defined its scope and implications. McKee et al. understand this very well. Indeed, they aren’t claiming otherwise in their latest paper. “Estimates of prevalence cannot be concluded or implied from this sample,” they write, adding that the latest data don’t allow for any “estimation of the risk of participation in football and neuropathological outcomes.” Given how their work continues to be covered, it’s clear this message isn’t getting through.